Nina Negru is a woman of exceptional vision who has founded the charitable organization Food for Ibiza with two key intentions: To help those families on Ibiza who do not have enough money to feed themselves, and to confront the problem of food waste on the island. The basic concept sounds simple enough – take food destined for the landfill and give it instead to people who need it. But, as IbiCASA recently found out, achieving these goals requires levels of intention, dedication, and hard work that far exceed how it appears at first glance. German-born Nina moved to Ibiza in 2005. An architect by trade, she became conscious of the comparison between her super-rich clients and the families living in poverty on the island. She has always been a person who is keen to help others whenever possible, and that genuine compassion led her to the idea of Food for Ibiza. One day in November of 2014, Nina was on her way to shop for her family’s groceries when she spotted a forlorn lady sitting outside the supermarket. On an impulse, she approached the woman and asked what she needed. To her surprise the woman’s answer was not to ask for money, but simply for some food to eat – “maybe a banana”. Warm-hearted Nina immediately went into the shop and came out with a bag full of basics for this stranger, and was touched by the genuine gratitude and joy with which it was received. This got her wondering. Even though there are wonderful charities like Caritas and the Red Cross doing superb work on the island, why are there still people on the street looking for food? This experience had such an intense impact on her that she posted about it on Facebook, and asked if anyone would be interested in helping her to do something about this very real problem. That post prompted positive responses which led to finding her first couple of volunteers. Food for Ibiza was born! With Christmas approaching, Nina and her team were astounded by the generosity of the people of Ibiza as the donations began to pour in. It was a great start, but it was only the beginning of this imaginative woman’s ideas. You see, she was also inspired by a movement in Germany called Die Tafel (the table). 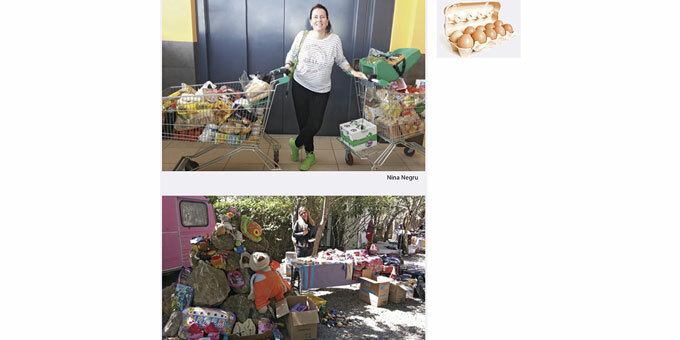 Not only did she want to provide donated food for needy families, but like Die Tafel, Nina held the vision of making use of “waste” food from supermarkets, bakeries and restaurants. She explained to me that, more often than not, this “waste” food is perfectly edible. Just because it is a day or two past its sell-by date, or the packaging is slightly damaged, does not mean that it is unfit for human consumption. And yet, since it is forbidden to be sold to consumers, it is destined for the landfill. Nina saw this as a terrible waste, and she was determined to help correct it. In just over a year she and her team have created a network for recovering “waste” food from various supermarket distribution centres, bakeries and even villa managers. 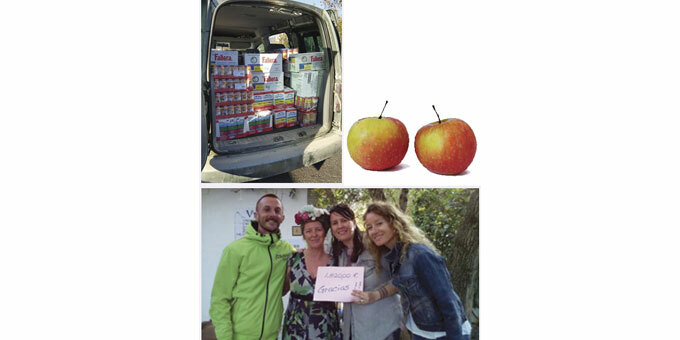 With the support of around 10 volunteers, along with frequent help from Nina’s own family, Food for Ibiza makes deliveries every 7 - 10 days to needy people and families on the island. The majority live near San Antonio, with a few also in Ibiza Town. 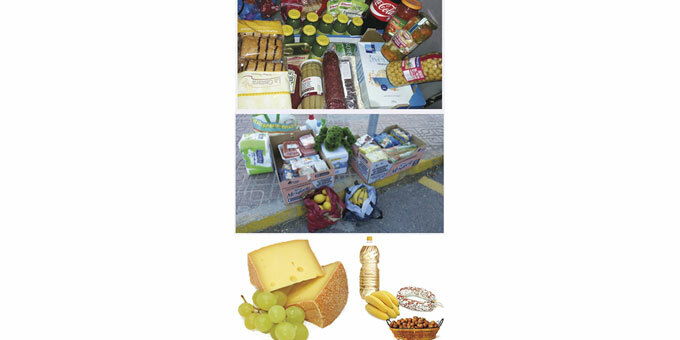 There are currently around 50 people of various nationalities, ages and situations being helped by Food for Ibiza. Some need assistance for just one or two months, whilst others need support all year round. Nina points out that quite often people can manage over the summer by finding temporary work, but they don’t make enough money to tide themselves over for the winter. Thus, it is more of an off-season problem. For the most part people are referred to Food for Ibiza by other charities, by families that are already being helped, or by concerned people who send messages on Facebook. Most communications are done via mobile phone and whatsapp. When Nina hears of someone in need, she sends them a questionnaire to garner more information and to verify their specific needs. The questions are designed to provide an insight into the true situation and how they can best be helped... but they also serve as a filter to establish genuineness. Nina is quick to stress, however, that it is very rare for anyone to take advantage. Generally, the people she helps are honest and ask for assistance only when they truly need it. If you would like to offer help and support there are many ways to so: donate food left over at rental houses, or after a big party, or excess from your garden. Of course a donation of money is always welcomed, but even just bringing a bit of extra food from your home is helpful. 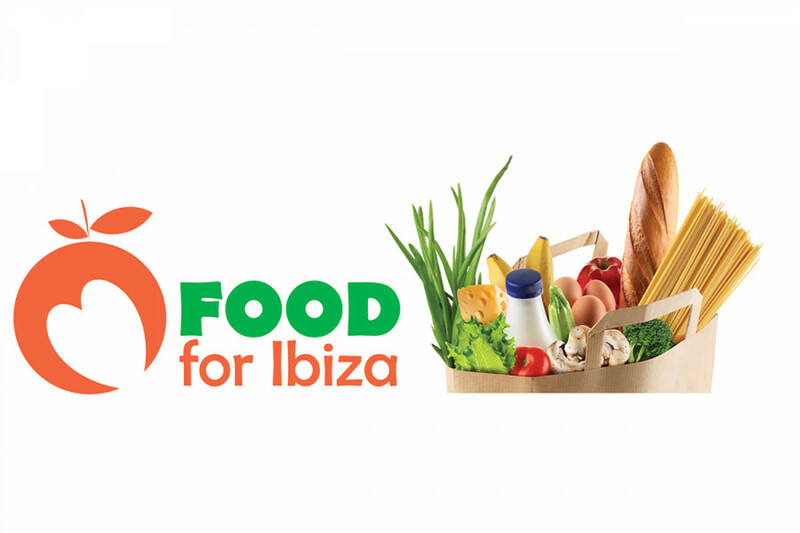 If you would like to learn more please visit Food for Ibiza’s Facebook Page and give them a like. Nina can be contacted by Facebook message, or by Emailing: nina@foodforibiza.org. A basic income for everyone?